Nike announced that it will raise the wages of 7,000 of its employees equal to about 10% of its overall global workforce. The sports apparel and footwear maker announced the increase in salaries on Monday through an internal company memo. 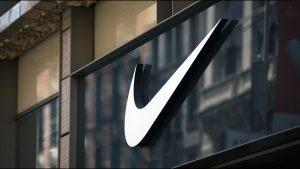 A Nike spokesperson said that the company wants to support a workplace where its employees feel empowered and included. The increase in wages is a way for the sports apparel maker to ensure wages at the company are competitive said the spokesperson. The salary adjustments will be seen in different sectors throughout the entire company, she added. The spokesperson added that the company reviews pay each year, but this year a deeper analysis was conducted by the company. This announcement is just the latest in several changes that the sportswear company has made in 2018. In April, a report in the New York Times said that several Nike executives had resigned after several complaints had surfaced of gender discrimination and sexual harassment at the company. A professor at a university in Oregon, where Nike is headquartered said that the decision to increase wages was a good one by Nike. The hope is that this will give more incentive to others in the workplace to work that much harder and help to increase productivity across the board at the sports apparel maker. One analyst said that at times companies are concerned about making change. However, this increase in wages shows that Nike is not concerned, said the analyst. The bonus structure was also changed by Nike. Prior to Monday, the bonus determination was based upon a combination of individual, team and company performances. However, from now on the bonuses will be based on company-wide performance only. In addition, employees that are stock-eligible will not have the option of how they would prefer to receive their stock awards each year. They can choose between restricted stock uses, stock options or a mix of the two.